The nuclear industry hasn’t solved the long-term problem of what to do with nuclear waste, which presents a uniquely dangerous environmental threat. 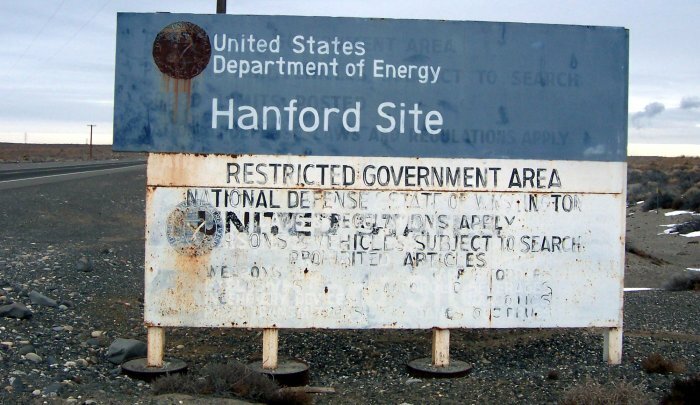 That danger is now highlighted by leakage at one of the oldest nuclear sites in the world, Washington State’s Hanford facility, writes Gina Mason. 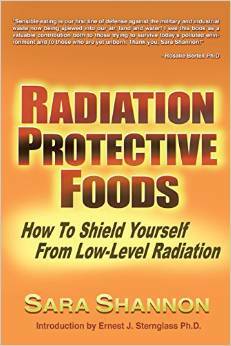 Living with radiation sickness is not on my bucket list, and I would hazard that it isn’t on yours either. Nor is it what I have in mind for my children’s future. Yet our government continues to manufacture nuclear materials and unsafely store radioactive waste in clear violation of the public trust. Nowhere is this more visible than at Washington State’s Hanford Nuclear Reservation, the most radioactively contaminated site in the western hemisphere, where we now know radioactive sludge is leaking badly from at least six underground tanks. The management of this catastrophe is vitally important to the Pacific Northwest and the rest of the nation — indeed, the biosphere. Unfortunately, environmental disasters do not stop at city, state or national borders. The Hanford Nuclear Reservation is located on the 1,243-mile-long Columbia River and sits upstream from drinking water facilities for the Washington Tri-Cities area, tribal lands and many other towns and cities before it empties into the Pacific Ocean. Built in 1943, this facility is home to the first plutonium production reactor. Hanford is responsible for having manufactured the material used in the first atomic bombs, including the bomb that killed and poisoned scores of thousands in Nagasaki, Japan, on Aug. 9, 1945. An environmental remediation legal structure called the Tri-Party Agreement governs the cleanup efforts by the Environmental Protection Agency, Washington Department of Ecology, and the U.S. Department of Energy. Bechtel, a construction and engineering firm, is currently overseeing the construction of a vitrification plant that will stabilize the worst of the radioactive materials with glass. Added to the Superfund list in 1989, the cleanup of Hanford is woefully behind its original 30-year schedule. Recent news articles and Washington Gov. Jay Inslee’s announcements about the nuclear hazard have brought Hanford back into the national spotlight as the large tanks containing radioactive waste are leaking into the nearby aquifers at a reported rate of 300 gallons per day. Many of the site’s 177 underground tanks are losing radioactive liquid. In fact, prior to the latest news, the Washington Department of Ecology reported that the contaminated water could reach the Columbia in anywhere from 12 to 15 years. The U.S. Department of Energy reports on the leaking tanks but never quite fixes them while the DOE Hanford website indicates nothing out of the ordinary. With many of the tanks holding a million gallons each, this is enormous and means the United States is producing a massive radioactive waterway. It is the government’s responsibility to deal with Hanford before its citizens suffer considerable environmental, health and economic damage. Considering the rate of cleanup and the lack of public awareness, this is an almost certain fate. Furthermore, the threat of sequestration is risking even the slowest paced cleanup operations at Hanford. When stacked against other environmental issues – timber clear-cutting, setting aside wilderness areas and even plastic waste floats larger than Texas, the risk of radioactive contamination to our environment is infinitely more catastrophic. I feel that this issue demands our full attention. Unlike the Fukushima disaster only two years ago, the Hanford radioactive leaks are not the result of a massive natural disaster triggering an anthropogenic catastrophe. This is an event brought on entirely by our own human arrogance and mismanagement, demonstrated repeatedly by poor predictions about how safe it all is. If anything, our utter failure to clean up a terrible mess made way back in World War II and the Cold War shows our hubris in continuing to maintain nuclear weapons somehow believing we can control them. All it takes with nuclear weapons is one mistake and we are all only human. Mistakes are inevitable. The biggest mistake of all is to fail to dismantle the nuclear arsenal now and clean up the massive mess as quickly and safely as we can. Under the Tri-Party Agreement, cleanup was scheduled to be completed by 2018 and has since been revised to 2040. This makes the specter of a radioactive Columbia River an assured nightmare without action from grassroots organizations and community involvement. This current trajectory is an absolutely unacceptable legacy. It is not too late. We have the ability to alter the impending disaster by placing pressure on responsible government agencies, legislators, community leaders and contractors to safely increase the pace of the cleanup operations — and to tell Congress to shift all $2.46 billion in nuclear weapons “modernization” funds to cleanup — or at least what’s left after sequestration. Talks have repeatedly stalled between agencies regarding the timeline of waste containment. We citizens are in a position to leverage public interest as a means to get the negotiating parties back to the table. The year 2013 has the potential to be the year that Hanford Nuclear Reservation makes a dramatic shift to move off the Superfund list in a quick and responsible manner.